There is nothing more devastating or heartbreaking than losing a child. We appreciate that the size of tribute needs to be delicate. 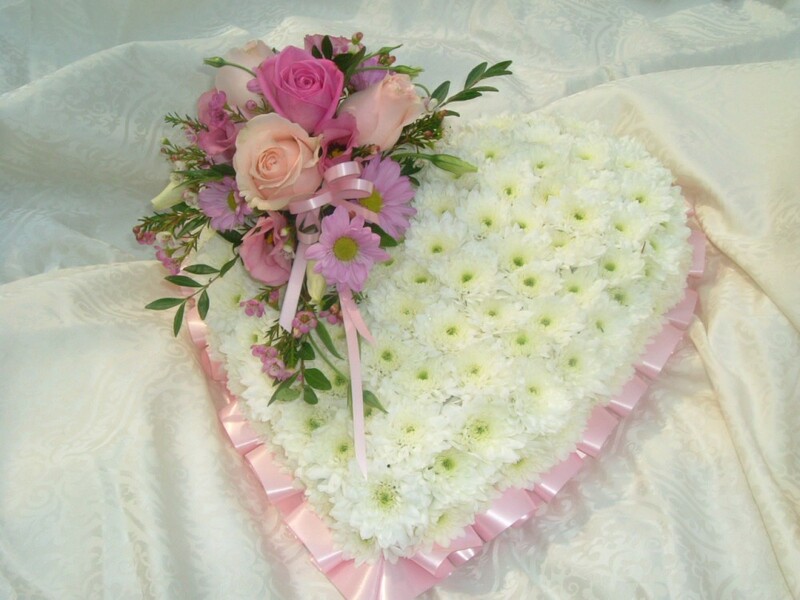 All our childrens floral tributes can be personalised to your requirements and crafted with absolute care, dedication and love. A small and dainty heart of flowers, conveys what words cannot express. Can be designed in pink, white or blue. Standard price is 12" finished size ( as picture). If you prefer to discuss face to face, please come into our Derby shop to view our wide selection of pictures, or contact us to arrange a personal home visit, where we can discuss your particular requests in the comfort of your own home with your friends or family around – please be assured we are very experienced florists delivering many varied funeral tributes week by week.